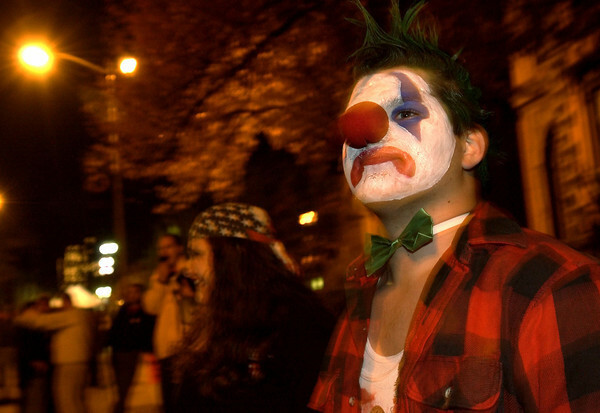 Salem: Dave Dawson, who came down to Salem from Lunenburg to take part in the Halloween festivities, watches from the side of Essex Street of as throngs of people pass by. (Photo by Michael Ivins/Salem News). Friday, October 31, 2003 (NOTE: THIS IS A DIGITAL CAMERA IMAGE).